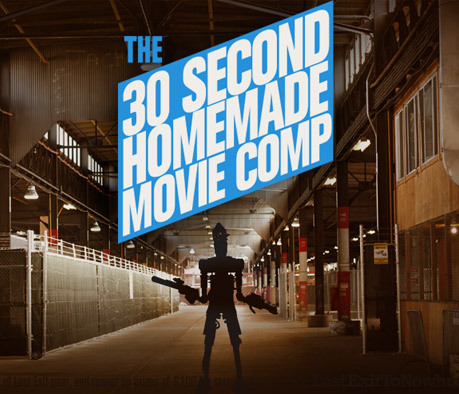 Enter our latest 30 Second Homemade Movie Competition for the chance to win a massive £200 worth of Last Exit gear, with runner up prizes of £100 for second and third place. Simply film your own 30 second movie (any theme, any device), upload it to youtube, and send us the link: info@lastexittonowhere.com. All films must reference Last Exit to Nowhere in some way and last no longer than around 30 seconds. Click on the image to see previous winners for inspiration. The winner will be announced on the 30th September 2013.